It's somebody's birthday this week! Minecraft's, actually. The Xbox Editions of the block building mega game are celebrating four years of creepers and pickaxes. Four years on Xbox 360, that is. The Xbox One version is just two years old, but who cares? Free skins for everyone! 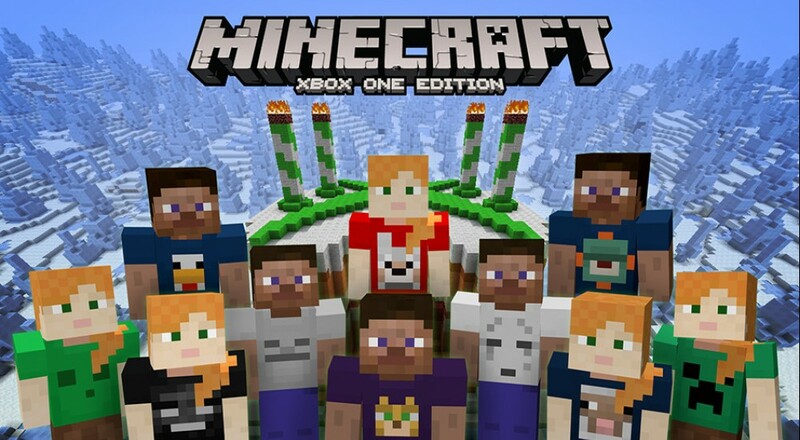 Now through May 16, Minecraft: Xbox 360 Edition and Minecraft: Xbox One Edition owners can grab the 4th Birthday Skin Pack and wear it with pride. If you're new to the Xbox flavors of the game, you can go ahead and download the 1st, 2nd and 3rd Birthday Skin Packs, as well! It's Microsoft's way of saying thanks for all the good times, and there have been plenty of good times over the years. Just look at the 20 million copies of the game sold on Xbox consoles. Although the PC version of Minecraft has far outsold its console counterparts, the Xbox 360 and One versions of the game are rich with skin packs users can purchase and download. Some add simple costumes or enemy re-skins to the game, while others introduce all new block themes that change the way everything looks. Wearing snazzy shirts has become de rigueur for the Xbox Minecraft experience, so whenever a free skin pack comes along, download it or be left behind!